Hello there! My name is Peter and I'm a future rich person and ace programmer. I run a cross-browser testing company called Browserling and I'm a hacker-in-residence at Hackers/Founders – world's largest startup network. Here I am on the day I raised an investing round for Browserling. Here's what I've done over the years. In 2019 I launched DevURLs, SciURLs and FinURLs – world's simplest developer, science and finance news aggregators, and Online Text Tools – sixteenth online tools network site. In 2018 I helped country of Cameroon restore Internet freedom, made Browserling top 30k website in the world, increased online tools network to fifteen websites, and launched a fun little tech news aggregator called TechURLs. In 2017 I 10x'd traffic to Browserling and made it a top 50k website in the world, launched a network of online tools, added 300+ tools to Browserling's programmer tools collection, went crazy viral in India, and was interviewed on Huffington Post. In 2016 I launched a comic for nerds, went viral and super-viral with it, created a collection of simple browser-based tools for developers, created a Safari extension for Browserling, massively improved Browserling's SEO, joined Bloomsbury Health, an NHS Healthcare Innovation company, as a chief technology advisor, and added NHS as Browserling's customer. In 2015 I gave Browserling a new look, launched Browserling's Live API, Browserling's browser extensions (for Chrome, Firefox, Opera), Browserling's Bug Hunter, joined June Inc as a technical advisor, became Hacker-in-Residence at Hackers/Founders, kept writing articles that got millions of views, and was interviewed on Fog Creek Software Blog. In 2014 I kept improving Browserling and Testling, and wrote a bunch of interesting articles, including Top 10 Browserling Inventions. In 2013 I became a published author with No Starch Press and pushed another 10 projects to GitHub. In 2012 I grew Browserling to 200 customers and wrote my third book called Perl One-Liners Explained. It's similar to my previous two books and it teaches Perl through 130 well-explained examples. In 2011 I incorporated Browserling Inc, raised funding, created Testling, open-sourced 90 node.js modules, and self-published two books – Awk One-Liners Explained and Sed One-Liners Explained. In 2010 I created StackVM, Browserling, joined Hackers/Founders, published another 20 projects to GitHub, and added once(cb) method to node.js's core. In 2009 I joined Plurk as Hacker Extraordinaire, wrote Python libraries for scraping Google Search, Google Sets, Google Translate and Google Sponsored Links, and published 30 projects to GitHub. In 2008 I wrote The Definitive Guide to Bash History, created Reddit River, Reddit Top and Hacker News Top. 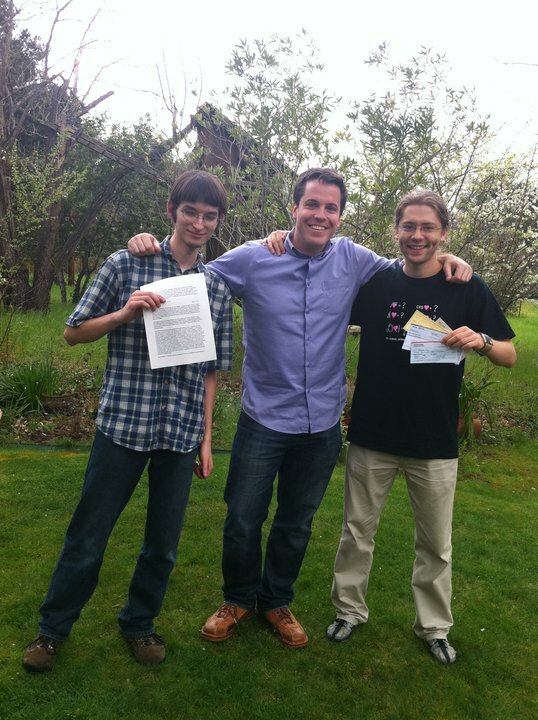 In 2007 I started this blog, created Reddit Media, DigPicz, PicURLs, and got featured on Diggnation. Reddit offered me a job but Digg later sent me a DMCA takedown notice. In 2006, inspired by ShoeMoney and John Chow, I became fascinated with online marketing. I quit my job and created a network of MFA sites and made a lot of money with Adsense, TLA, CPX Interactive, Auction Ads, Clickbank and Amazon affiliates. I also created a Winamp Music Reporter for Digital Point Forums. 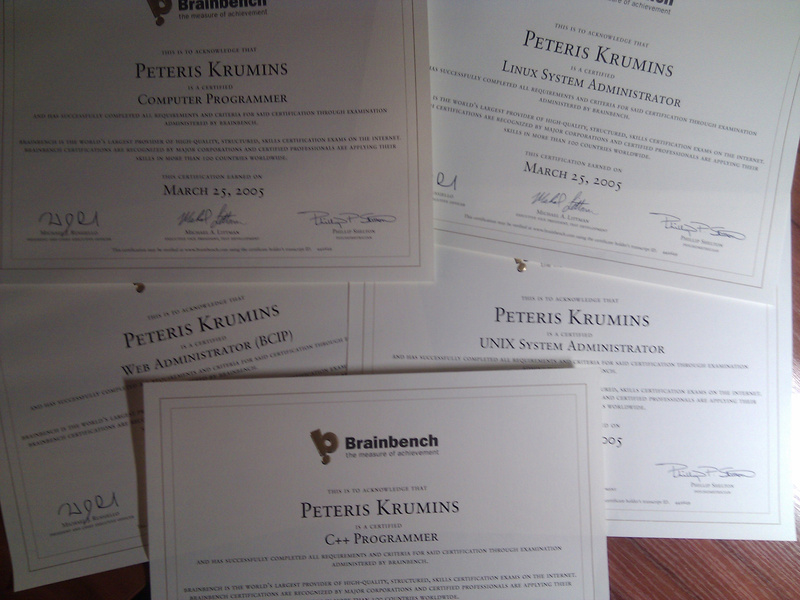 In 2005 I became world's top Brainbench certificate holders with 49 certificates in pretty much every computing area. At that time I held one of top positions in world's general Linux certification leaderboard with a score 4.91/5.00. Only one person had the perfect score 5.0/5.0. Here are a few certificated they sent me. I also wrote tons of scrapers and added simple cookie interface to curl and curlpp. In 2004 I got my next job as an embedded Linux systems programmer. I improved RC4 algorithm speed in assembly for x86 architecture and I also created an alarm system for a security company. In 2003 I created a unique IDS/IPS system based on Linux, Snort and Zorp, and worked as a white hat. Usenet was my home back then. In 2001 I got my first job as a C programmer and created software for electronic doors. It ran on DOS and used parallel port for communicating with the doors controller. Curious to know what I'll do next? Now you can subscribe to my updates via rss feed or email.